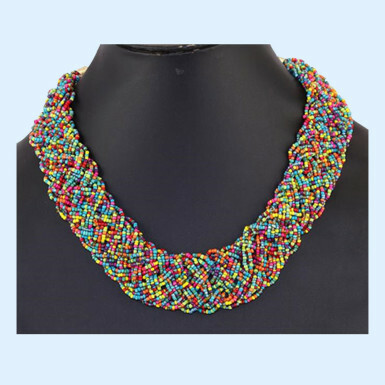 Add this stunning multicolor necklace into your accessories collections. Winni brings you this piece of beauty that freshen up your look. High-quality beads of different color are used that will match to your any kind of outfits. This stylish necklace will be a perfect choice to grab all the attention at the party. So, when are you placing your order for this stunning piece? Order now!